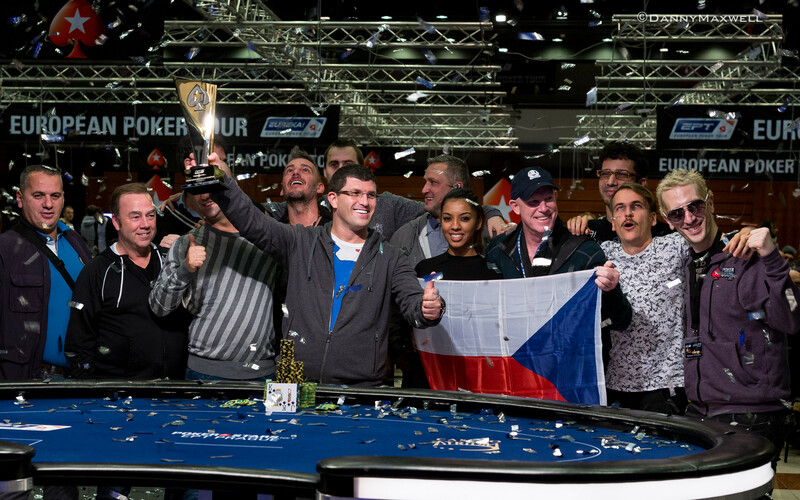 King's Casino Rozvadov owner Leon Tsoukernik wins PokerStars' last EPT Super High Roller in Prague. 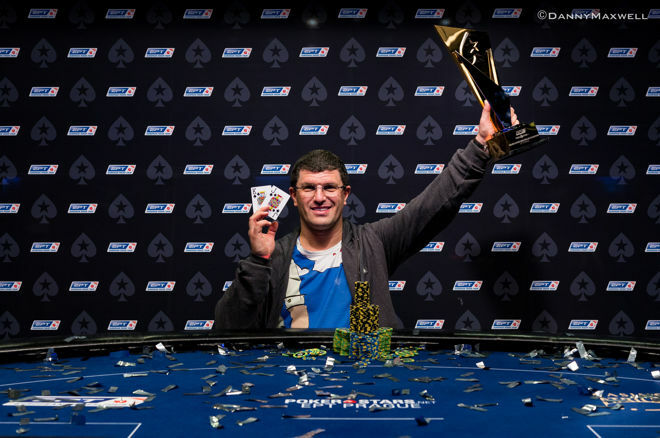 Leon Tsoukernik has won the last PokerStars.com EPT Super High Roller. The King's Casino Rozvadov owner beat the stiff competition and lifted the trophy after just six hours of play. Tsoukernik eliminated his arch nemesis Charlie Carrel heads up to be crowned champion and received a check worth €741,100. After Bertrand "ElkY" Grospellier bubbled the event late on Day 2, play continued until Anthony Zinno went out in seventh place for €123,520. As a result, six players returned to the table on the final day of play. Chips were anything but evenly divided among the six finalists. Tsoukernik and Carrel were leading, Juha Helppi and Viacheslav Buldygin found themselves in the middle of the pack and Paul Newey and Julian Thomas dangled on the bottom. While plenty happened, with big pots, huge coolers and some great table talk, the players would eventually all go out in the order they started in. Carrel took the lead early on, bluffing Tsoukernik off his flush in a big pot. While the two big stacks changed position, nothing really changed for Thomas. The 2013 WPT Prague champion remained short and wouldn't find his much-needed double. He eventually fell to Carrel, receiving €152,915 for sixth place and leaving Carrel behind, even stronger than before. Newey, who finished runner-up in this event back in 2014, was the next with his head on the chopping block. He played his own conservative style and it took a bad beat to send him packing. He got it in before the flop with tens against the eights of Buldygin with one eight already folded. The sole eight would not appear on the board. Instead, Newey saw his Russian opponent make a straight on the river. Newey, who came from an incredible run in Macau that saw him make back-to-back final tables last month (a high roller and a super high roller), went out in fifth for €200,000. The next hand following Newey's departure was probably the most important hand of the final table. Carrel and Tsoukernik squared off in a huge pot that took a good 10 minutes to complete. Tsoukernik, who had already shown on Day 1 he was keen on playing the good old and had advertised his love for the worst starting hand in poker earlier on the final table as well, made a straight with it on the river. It was bad luck for Carrel who had two-pair by that time and, after studying his opponent for over eight minutes, couldn't get away with it. That hand saw Carrel fall back to the role of small stack while Tsoukernik really distanced himself from the competition. Carrel admitted, in a joking fashion, that runner-up was now the only obtainable goal for him, winning was no longer realistic with such a huge lead for Tsoukernik, he said. It took quite some time before the next player was heading for the rail. Helppi got extremely short only to find some doubles to get back in it. Eventually, Buldygin, the somewhat mysterious Russian player that blasted onto the scene in Malta with two runner-up finishes in expensive events, was the one departing in fourth position. He got it in with jack-nine suited against jacks and packed his things after the board blanked out. Helppi, fresh off a fourth-place finish in the Master Classics of Poker Amsterdam Main Event last month, ended up going out in third place. Down to just a couple of big blinds, he ran ten-seven suited into jack-ten suited of Tsoukernik and received €341,150 for his troubles. This is the second biggest score of his 15-year long career; he's now only $232,553 short of overtaking Patrik Antonius as Finland's all-time money leader. That left Carrel and Tsoukernik heads up, the mano-a-mano match that seemed meant to be. From the start of the tournament two days ago, the two had battled with each other. At one point on the first day of play, the discussion between the two had heated up a little. That argument was soon settled and the two were friendly, though extremely competitive and fierce. Tsoukernik, who had splashed around several one-liners all day, only upped his talking game. "I'm the only pro, the rest is semi-pro at best" was one of his witticisms, only outdone by his cryptic, "All rivers lead to the sea." Carrel had his big smile out just about constantly and seemed to enjoy the battle with his Czech opponent. Carrel, usually the most talkative person at the table, had found his match. While one could argue that Carrel had more experience playing heads-up tournament poker, Tsoukernik was at ease. He repeated that the money was no issue to him and that he was playing for fun. Carrel started out a three-to-one dog and would never get any traction heads up. Instead, he lost some medium-sized pots to get real short and entered a stage where his stack size dictated folding or shoving. He chose the latter with ace-king and got it in good against the king-jack suited of Tsoukernik. The flop, however, came jack-high with two of Tsoukernik's suit, leaving him drawing extremely slim. Blanks on the turn and river resulted in exactly that; Carrel had to leave the first place to Tsoukernik. Leon Tsoukernik, the Czar of Rozvadov, ruled in Prague. He dominated just about from start to finish and ended the event in style. 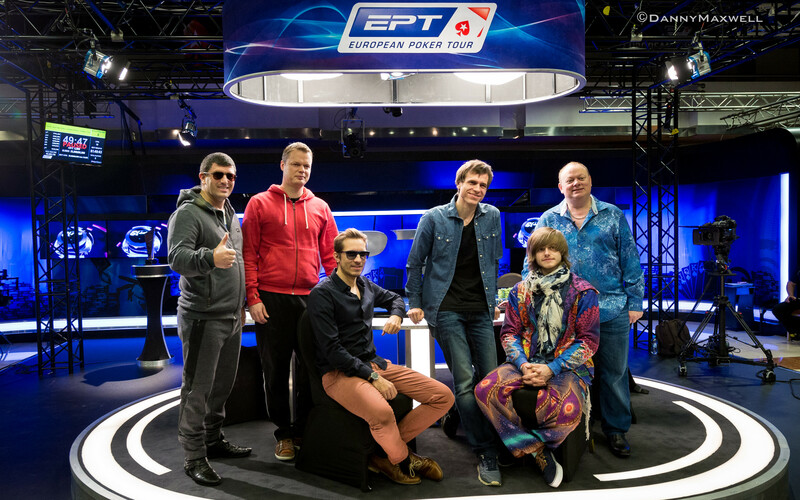 We can only hope that the rest of the final tables of this last ever European Poker Tour will be as fun and interesting as the one on display this afternoon. And otherwise, we're sure Tsoukernik will bring just as much entertainment to all of the events of the PokerStars Festival he hosts in his King's Casino in Rozvadov March 2 through March 13.